Our motto says it all: If it’s Smart, We Fix it. Every technology purchase that you make is a significant investment. So why skimp on it when it comes to properly repairing your cell phone? Not simply because of the money that you’ve put into it, but the information you have on the device. Whether you’re a parent that’s racing seven ways to Sunday, trying to keep track of kids, playdates, practices, and games; or if you’re the lynchpin keeping an organization together, you rely on your smart device to keep you not only in the game but ahead of it. What do you have that keeps you connected? Is it a Smartphone? Do you have an iPad or an iPhone? Maybe a MacBook? 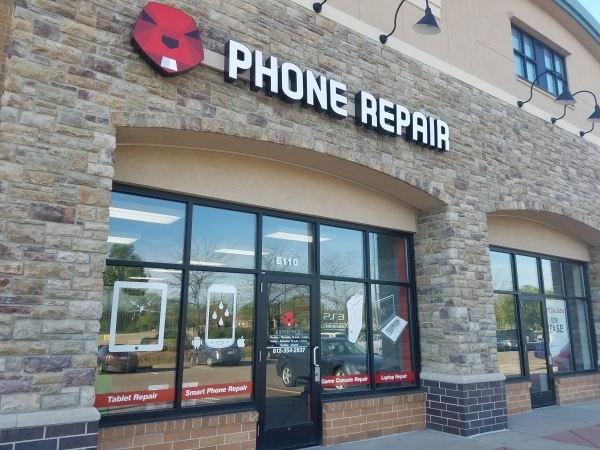 Regardless of your smart device, you need to take care of it when it breaks, which is why you need to come to Gophermods in Eagan, MN. We can do it all when it comes to cell phone repairs. If you’ve got a crack in the screen, or if for some reason your device’s power is being drained far too quickly, all you have to do is bring it to us. Here at Gophermods, we have 10 years of experience in the field of cell phone repair. This is the hands-on, nitty-gritty work that needs to be done to keep devices up and running. Whether you’re having difficulty with an upgrade, or if you’re looking at having to replace an entire screen for your brand-new iPhone, Gophermods is here for you. As we said, we have 10 years of experience in this industry. More importantly, we’re not a franchise. Yup, you read that correctly. Gophermods is not a franchise. What does that mean? Well, to put it simply, it means that you’re not a number in a spreadsheet and this isn’t one of five hundred stores, we fix any problems we might run into if we make a mistake. Which really puts the pressure on us to keep you happy. That’s why we offer a one-year warranty on all our repairs. Another important piece of information is the fact that we are locally owned. We’re not a fly-by-night company that’s set up shop in an abandoned pet store. And, since we’re not a franchise, the techs working on your phone have more than a few hours of corporate training to ensure your device is in the right hands. We’re part of the community, and we want to see our neighbors succeed. We know you can’t succeed if you don’t have your technology working at its very best. And that’s what we do; we keep your devices up and running. You might ask how we do that, and that’s a fair question. We know our job, and part of knowing our job is understanding what breaks most often on a device, and we keep it in stock. Yes, that’s right. That screen for your new iPhone? Yes, it’s right here. And we can fix it. So, we’ve told you that we offer a warranty. You know we have 10 years of experience and that we’re locally owned and operated. Finally, you know that we have what you need in stock. Now, here’s the best part. We not only fix your device, we fix it fast, and we fix it right. Most repairs take under an hour, so we will have you in and out and back to conquering the world before you know it. And if you’re desperate, give us a call before you stop by. We’ll set that screen aside and make sure it doesn’t get used before you show up. At Gophermods, we’re here for you.